Plans are being made for the 2019 Farm & Food Leadership Conference. Until plans are finalized, take a look at our 2018 speakers for a sampling of what this annual conference offers. 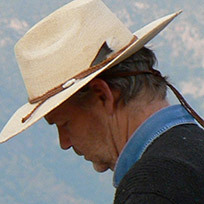 Montgomery, a professor of geomorphology at the University of Washington, studies landscape evolution and the effects of geological processes on ecological systems and human societies. He will speak Monday, Oct. 15, about the plight of soil and how regenerative agricultural practices, such as no-till farming, can bring soil back to life. In 2008 he received a MacArthur Fellowship (popularly known as the “genius award”.) He has authored numerous scientific papers and has been featured in documentary films, network and cable news. Biklé is a biologist with wide-ranging interests whose career path has taken her into the watershed restoration, environmental planning, and public health fields. She’ll speak on Tuesday, Oct. 16, about microbiomes—communities of the tiniest creatures on Earth—and their vital importance for the health and well-being of plants and people. She particularly likes sharing the inner workings of the natural world and the human body with audiences. Her work has appeared in magazines, newspapers, and radio and her soil-building practices have been featured in independent and documentary films. The couple collaborated on The Hidden Half of Nature: The Microbial Roots of Life and Health after buying a house and encountering the dead dirt that came with it. They undertook a yard makeover, and soon found themselves with more questions than answers about their fixer-upper soil. The book mixes memoir, history, and science, exploring humanity’s tangled relationship with the microbial world and how it influences the way we practice agriculture and medicine. The first book in the trilogy, Dirt: The Erosion of Civilizations, lays out the plight of soil; The Hidden Half of Nature reveals the insights and understanding from new microbiome science and the implications it has for healing the land—and safeguarding our own health. In Growing A Revolution: Bringing Our Soil Back to Life, Montgomery shares the stories of farmers who are adopting new practices that demonstrate the potential of agriculture to improve soil. Biklé and Montgomery are now at work on a capstone to the Dirt Trilogy exploring the connections between soil health and human health. BRANDON ADE was the driving force behind establishing malting barley production in Texas, founding Blacklands Malt as the state’s first independent community malthouse for the brewing, distilling, and baking industries. Brandon also serves on the board of directors for the Craft Maltsters Guild, an association of small-scale, independently operated malt producers that source more than 50 percent of grains within a 500-mile radius of their operation. 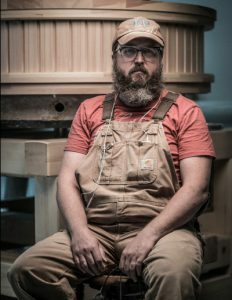 Brandon spends his free time in Austin, where Blacklands is located, with his wife and son and plays acoustic guitar to “wind-down.” He was trained in malting at Canadian Malting Barley Technical Centre in Winnipeg. 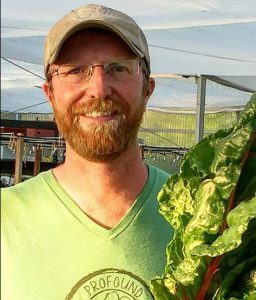 JEFF BEDNAR and his wife Lee founded Profound Microfarms in Lucas, Texas, in 2014. Profound grows more than 150 varieties of leafy greens, rare culinary herbs, edible flowers, and microgreens for chefs in Dallas and Collin Counties. Their products are grown in 17,000 square feet of technology-controlled greenhouse environments utilizing hydroponic and aquaponic systems. Jeff is a Collin County Master Gardener, a certified permaculture designer, and prepared for his foray into farming by visiting as many farms as he could. 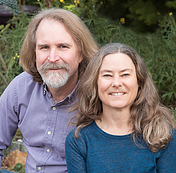 Having had careers in real estate (Jeff) and telecom (Lee), the couple was inspired to start Profound Microfarms through their desire to make a profound impact of the health of their family, their community, and the environment. DARRYL BIRKENFELD is executive director of Ogallala Commons, a non-profit organization providing leadership and education to reinvigorate communities in the Great Plains region, centered over the High Plains-Ogallala Aquifer and extending west to the Rockies and east to the prairies. Darryl works as a community educator, developer, and social entrepreneur. Reared on a diversified family farm in Nazareth, Texas, he lives nearby that community today, with his wife, Joann. 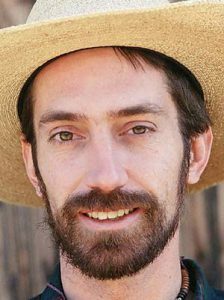 After working as a Catholic priest in Amarillo for 14 years, he earned a Ph.D. in social ethics from The Graduate Theological Union in Berkeley, Calif., with his dissertation on reconstructing a holistic method for agricultural ethics. He joined Ogallala Commons in 2002, and was named to his current position in 2003. Darryl also was founder of The Promised Land Network, conducting educational outreach for sustainable agriculture, and was a founder of the annual Southern Plains Conference. JOANNE BONDY is chef-owner of Stocks & Bondy, located at the downtown Dallas Farmers’ Market. Her specialty is creating stocks, broths, demi glace’ and soups from fresh, local grass-fed, high-protein, high-collagen, soy-, gluten-, and preservative-free products. Joanne has served as a chef at The Worthington Hotel (Ft. Worth), The Fairmont Hotel (Dallas), and the Arizona Biltmore Hotel (Phoenix), as well as for three restaurant concepts at the Beau Rivage Resort and Casino in Biloxi, Miss., and the Gaylord Hotel in Grapevine, Texas. Joanne opened Ciudad in Dallas in 2001, earning a spot on Esquire’s list of 20 Best New Restaurants in America. 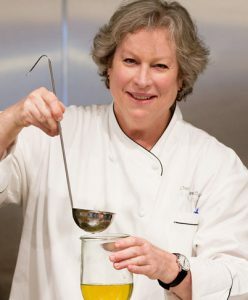 Her recipes have been published in numerous cookbooks, and she has appeared on the Food Network, the CBS Early Show, and several PBS documentaries including “A Tribute to Julia Child.” Chef Joanne and her staff from Ciudad, then later the Gaylord Texan, prepared several occasions at The James Beard House in NYC, as well as for the James Beard Foundation Annual Awards Gala. JAMES BROWN spent a 30+ year career in church music after earning a bachelor’s in organ and a master’s in choral conducting. His recent retirement has taken him in an entirely new direction, but not without some early background in the field. James also has a culinary degree from the Art Institute of Houston and worked at the Houston Country Club and as chef de cuisine at the Hotel Sofitel in Houston. That love of culinary arts led him to baking bread as a hobby, but soon discovered there were no viable local options for freshly milled, locally adapted heritage grains. After gauging the interest of local chefs, James decided to start his own mill. He found farmers willing to grow organic heritage grains and found sources for seed, opening Barton Springs Mill in January 2017. Today the mill provides artisan flours, cornmeal, and grits to wholesale and retail clients throughout Austin/Hill Country, Houston, Dallas, and San Antonio. 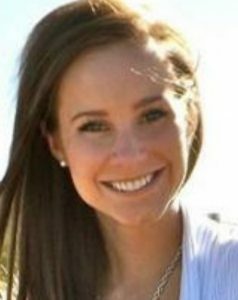 ALEXANDRA “LEXY” BROWN is Nutritional Health Coach Manager for the Texas Region for Natural Grocers. While earning her bachelor’s in science from Texas Tech University, she began her journey into health and wellness as a personal trainer for the school’s recreation center. As she began to get regular exercise, eat a more balanced diet, and get more sleep, she solidified her belief that food plays an enormous role in one’s health. Her passion for nutrition education came from that realization, and she continues to enjoy helping others on their journey to a more healthful lifestyle, including lots of cooking for family and friends. 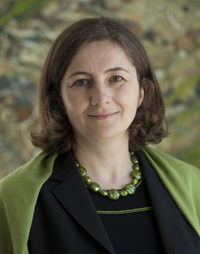 EVA SZALKAI CSAKY is Executive Director of the Hunt Institute for Engineering & Humanity and a research professor at Southern Methodist University. Her work focuses on fostering inclusive economic solutions through market-based mechanisms. Prior to joining SMU, Dr. Csaky worked for 18 years for the International Finance Corporation (private sector arm of the World Bank Group), and recognition for her work includes the first IFC/World Bank Innovation Award. Dr. Csaky led investment transactions in 24 countries, with a focus on energy efficiency, renewable energy, clean water access, and sustainable and inclusive agri/food value chains, and conducted extensive research on small farmer aggregation within global value chains. She is the co-author of “Climate Smart Financing for Small and Medium Enterprises – Enabling Policy frameworks,” written for the 2017 G20 summit of the world’s leading industrialized nations. She is also a member of Dallas Mayor Rawlings’ Poverty Task Force, the Advisory Group for Dallas Chief Resilience Officer, and served as an advisor to the 36-country Organisation for Economic Co-operation and Development’s Green Growth Knowledge Platform. TAYLOR COLLINS is the co-founder of Epic Provisions, leveraging the EPIC brand to grow supply chains of grass-fed and holistically managed animals. Taylor and his wife Katie have pioneered early communications with consumers and retailers on the benefits of regenerative land management. Speaking to the value of branding, messaging, and storytelling, Taylor is recognized throughout the natural foods industry as an expert on connecting with customers and creating authentic marketing strategy. EPIC’s success led to a full acquisition of the brand by General Mills in 2016. Today Taylor and Katie run a regenerative ranch outside of Fredericksburg, Texas, where they raise bison, turkey, chickens, and ducks. ROAM Ranch functions as a productive livestock operation and serves as an educational hub that is gathering long-term data to support regenerative agriculture research. When not working Taylor most often can be found outdoors. He is a competitive runner and triathlete with many top podium finishes. Eventually, Casey was called back to her Dallas roots to take the role as director of Good Local Markets, a non-profit that operates producer-only markets throughout the Dallas area. Casey also assists her significant other in his business, Urban Chicken, which they run from their East Dallas chicken Ranch. 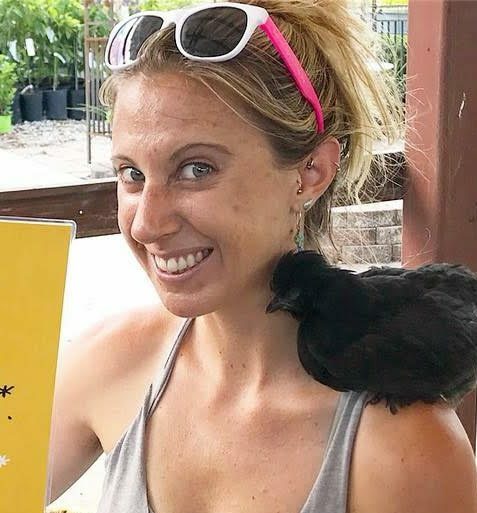 In addition to promoting backyard chicken-raising, they sell chickens, coops, and related equipment and promote local foods whenever and wherever they can. 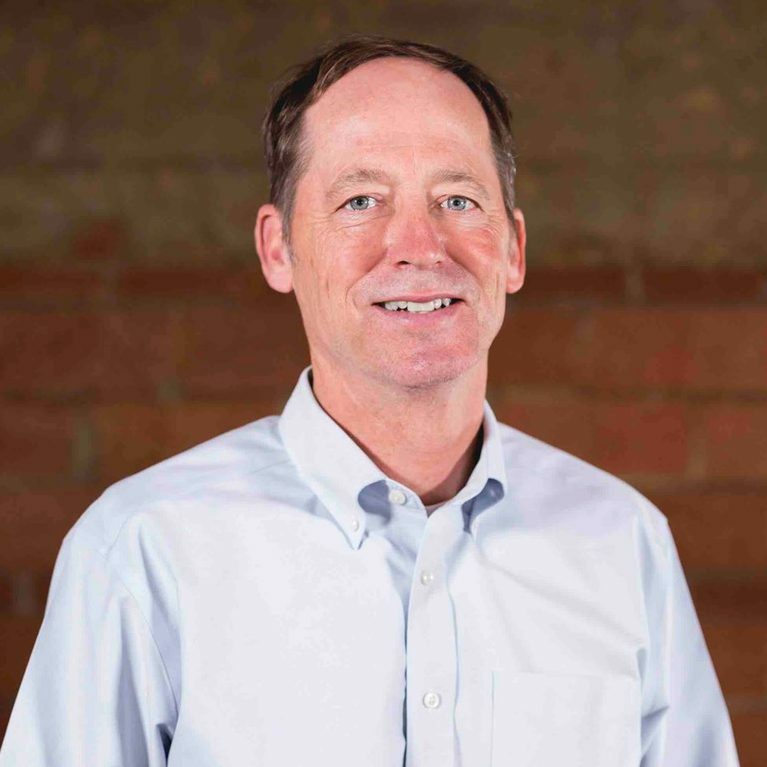 ERIC DE VALPINE leads Austin Foodshed Investors’ operations including financial and fund management, investor relations, compliance, and staffing. He manages AFI’s CFO Network of financial professionals assisting AFI client companies. Eric is an angel investor in Austin food-based businesses, driven by social responsibility and the opportunity to make things better. He previously served as CFO of an Intel-funded startup that developed real-time 3D visualization technology. He has more than 15 years’ experience as a financial and strategy consultant to small and mid-sized companies. Along with his wife Cari, he co-founded the Progressive Dinner Party in Long Beach, Calif.,, which raised more than $100,000 for small regional charities. NANCY FALSTER has taught nutrient dense cooking classes for the last nine years, both at her farm and locales that that range from local to far-flung. She has cooked for the International WAPF Conference in Dallas as well as fed busloads of hungry guests on farm tours. Her business as a personal chef operates under the name Dine in Taste with Southern Grace. The certified holistic farm in East Texas that Nancy owns with her husband Karl provides several top restaurants and co-ops in the Dallas area with grass-raised and -finished organic beef, pastured eggs, and their signature Cochon de Lait Cru (milk fed, pastured pork). She and her husband were guests in 2015 at the James Beard House Foundation in New York City with their pork as the featured main entrée served by Executive Chef Graham Dodds. 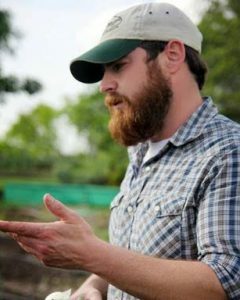 RYAN FARNAU owns F-Stop Farm in East Austin, where he grows organic produce to sell at Austin farmers’ markets and to area chefs. 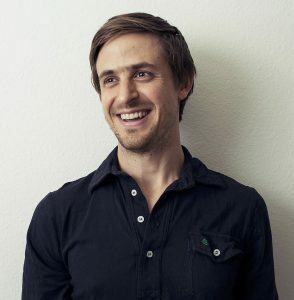 Passionate about maintaining the tradition of urban farms, Ryan recently signed a lease with the restaurant Eden East in Austin, located on the property of the former Springdale Farm, a farm that for many years was part of the East Austin Urban Farm Tour. Ryan hopes to harvest his first crops from the Eden East property this fall, eventually doubling his capacity from F-Stop Farm alone. Ryan and his brothers spent their springs and summers tending their family’s large vegetable garden, and he always envisioned an ideal future home with a big garden. After moving from San Francisco to Austin, he had enough land to make his dream a reality, raising herbs, vegetables, and chickens. HUGH FITZSIMONS is a third-generation rancher from Dimmit County, Texas, and a director of the Wintergarden Groundwater Conservation District, which preserves and protects groundwater across three counties. He holds a master’s in history from the University of Texas at San Antonio, and he is the owner of Thunderheart Bison and Native Nectar Guajillo Honey, established in 1998. He is currently expanding into the cultivation of environmentally beneficial restorative plants and crops. Hugh’s book, A Rock between Two Rivers: Fracturing a Texas Family Ranch, is the story of a man coming to terms with the environmental legacy of his family’s ranch. What began for Hugh as a mission to expose local ecological hazards from hydraulic fracking has turned into a lifelong effort to understand the more complicated story of how his family changed his grandfather’s land and how the land irrevocably changed the family. HOWARD GARRETT has devoted his life to establishing a leadership role in the natural organic marketplace. 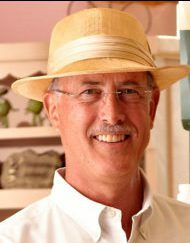 As the author of 15 books, a columnist for the Dallas Morning News, and radio talk show host for the nationally syndicated “Organic Gardening & Living” show, Howard has provided advice to millions seeking information on organic gardening, landscaping, pet health, pst control, and natural living. Widely known throughout Texas as “The Dirt Doctor,” Howard’s most recent and comprehensive book is Texas Gardening the Natural Way: The Complete Handbook. He also has overseen conversion of numerous commercial properties, including the Frito-Lay National Headquarters in Plano, Texas. Howard’s work includes research on natural organic planting techniques, use of native and well-adapted introduced plants, and water saving solutions. 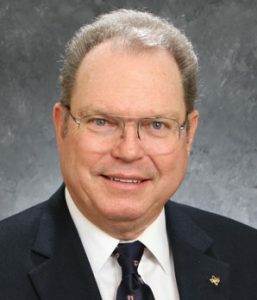 He has served as chairman of the Texas Organic Research Center and is a past member of the Organic Advisory Board/Texas Department of Agriculture. 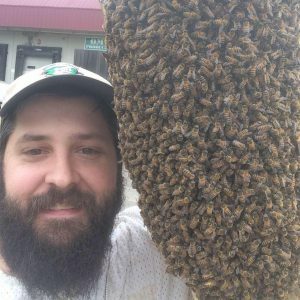 RYAN GIESECKE owns and operates “Honey Bee Relocation Services”, specializing in bee-friendly live removals of honey bees and bumble bees from problem locations. He manages hives in the Dallas area, is a Texas Master Beekeeper, and is a frequent speaker on topics including raising bees, swarm management, native bees, the history of beekeeping, and the role of beekeeping in sustainable agriculture. Ryan is president of Trinity Valley Beekeepers Association, a Dallas-based 501(c)(3) providing education on bees and beekeeping. 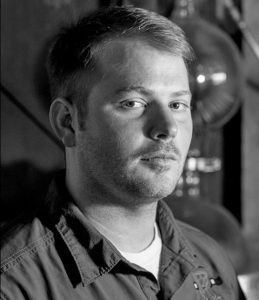 JESSE GRIFFITHS started Dai Due with partner Tamara Mayfield in 2006 with a mission to focus on ingredients that represent Central Texas. They later expanded on Dai Due’s supper club and farmers market approach, opening the New School of Traditional Cookery, a series of ethical hunting, fishing, cooking, and butchery classes. In less than a year, they had drawn students from around the country and gained attention from The New York Times, Texas Monthly, The Wall Street Journal, and others. Griffiths was nominated as Food & Wine‘s The People’s Best New Chef in 2011, and the following year, shared his love of the hunt with his James Beard Award-finalist cookbook, Afield: A Chef’s Guide to Preparing and Cooking Wild Game and Fish. In 2014, Griffiths and Mayfield opened Dai Due’s brick-and-mortar butcher shop and restaurant. Described as “an ode to Texas,” the restaurant was named one of the top 15 Most Outstanding Restaurants of 2015 by Alan Richman of GQ Magazine, one of the South’s Most Exciting New Restaurants by Garden & Gun magazine, one of Austin’s best restaurants by the Austin-American Statesman, and one of Bon Appetit’s Top 10 Best New Restaurants in America of 2015. MATT HAMILTON grew up in Southern Oklahoma where his family was active in cattle ranching and row crop farming as well as the commercial businesses of cotton ginning, peanut buying and handling, chemical and fertilizer application, and feed milling. After graduating from Oklahoma State University in 1998 with a B.S. in Agricultural Economics, he managed one of his family’s business locations. Within a few years, as the recession grew, he moved to Texas to work in construction management. But his passion for local farmers and ranchers and the local food system inspired him and his wife Heather to open Local Yocal Farm to Market in McKinney in 2009. The rancher-owned butcher shop and local goods market built a regionally recognized brand, specializing in high quality meats and natural products. His latest venture is the Local Yocal BBQ & Grill across Highway 5 from the McKinney Square. It combines farm-to-table homestyle cooking with his popular butcher shop and local foods market. WYLIE HARRIS holds a B.A. in biology from Reed College and a Ph.D. in rangeland ecology and management from Texas A&M University. He and his family operate a fifth-generation ranch in north-central Texas, raising cattle on native and improved pasture just outside of Saint Jo. On his farm, Wylie is working to develop more ecologically-based grazing systems and exploring alternatives for farm and ranch diversification. He has been a guest lecturer and teaching assistant for various ecology and natural resource management courses, and formed and led a reading group on sustainable agriculture. Wylie has spoken to high school and elementary student groups on topics involving ecology, agriculture and sustainability. A former W.K. 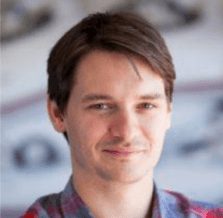 Kellogg Foundation Food and Society Policy fellow, Wylie has written extensively in academic and consumer publications on topics relating to conventional vs. sustainable food systems. 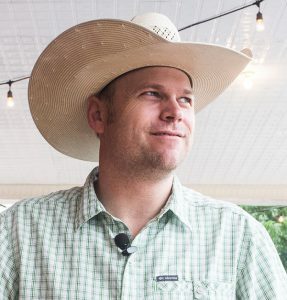 He co-founded and is president of the Cross Timbers Food Cooperative, connecting North Texas customers with local farmers and craftspeople. 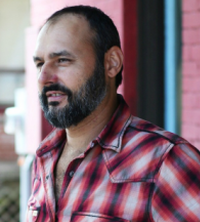 ERIC HERM is an organic farmer, author, poet, and musician from Ackerly, Texas. 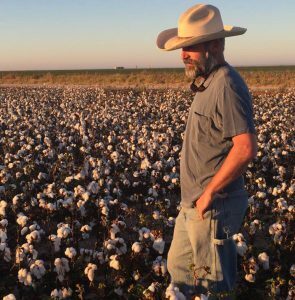 He is the author of “Son of a Farmer, Child of the Earth,” as well as “Surviving Ourselves,” and “I am the Tumbleweed.” He has transformed all 1,200 acres of his family’s farm into organic production, growing cotton, wheat, barley, oats and rye. He and his wife Jennie have begun their own environmentally friendly textile business, Allred Farms, creating denim goods from their own cotton. Visit allredfarm.com or sonofafarmer.com for more info. JENNIE HERM is the co-founder and co-owner of Allred Farms. As designer, she creates patterns, ideas, and denim goods from their own non-GMO cotton, grown at Allred. 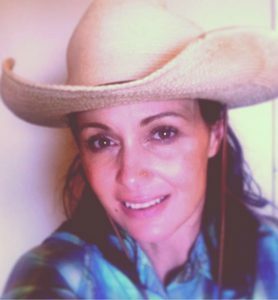 Jennie is also a certified kundalini yoga instructor and teaches yoga and meditation at the Yoga Barn on their farm near Ackerly, Texas. ALAN LEWIS directs government affairs and food and agriculture policy for Natural Grocers by Vitamin Cottage, a health food store chain operating more than 100 stores in 19 states. He oversees organic certification and compliance for the stores while supporting the development of small local food producers. 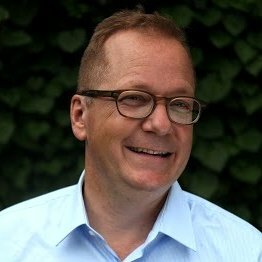 Alan serves on the board of the Organic and Natural Health Assn., is executive editor of Local Food Shift magazine, and has been a speaker at dozens of food-related events, including a presentation at TEDx Boulder in 2014. Long a student of political activism, his focus is on communicating with policy makers and stakeholders at the federal, state, and local levels using non-confrontational and inclusive frameworks. ROBERT LIKARISH and his brother Jonathan own Ironroot Republic Distillery in Denison, Texas. A graduate of Austin College and St. Louis University Law School, Robert soon discovered that his passion was not in law, but in distilling. Robert has been extremely fortunate to have studied under some of the best-known craft distillers in the U.S. including Hubert Germain-Robin, Chip Tate, and master blender Nancy Fraley. Robert and Jonathan have earned numerous national and international awards for their whiskeys including having their Ironroot Hubris Corn Whiskey named Best Corn Whiskey by both Whisky Magazine (World Whisky Awards) and the San Francisco World Spirits Competition. 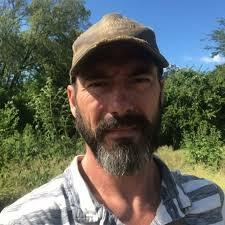 RICKY LINEX is a wildlife biologist for the Natural Resources Conservation Service headquartered in Weatherford, Texas. He earned his range management degree from Texas Tech University with a focus on wildlife habitat. 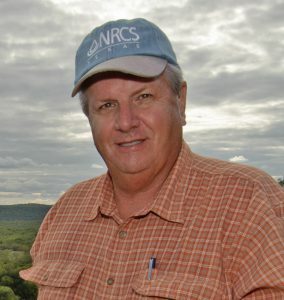 For NRCS, Ricky works 51 counties in north-central Texas covering the Rolling Plains, Cross Timbers, Blackland Prairie, and Post Oak Savannah regions. He has worked 36 years with NRCS in Texas. Ricky is also the author of Range Plants of North Central Texas; A Land User’s Guide to Their Identification, Value and Management, which includes 324 grasses, forbs, and woody plants of the area. The book includes detailed browsing, grazing and seed values of each plant for cattle, sheep, goats, deer, dove, quail and turkey. 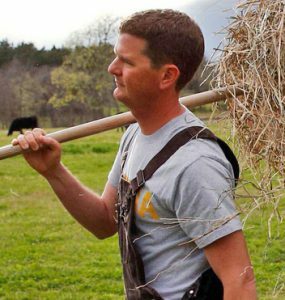 THOMAS LOCKE is part owner of Bois d’Arc Meat Company in Allen’s Chapel, Texas, where he and his uncle raise cattle, heritage pigs, chickens for eggs and meat, and turkeys using completely sustainable methods. Farming on land that supported his family for generations, Thomas did not begin his career as a farmer, but instead left the area after college to pursue work in Massachusetts and New York. A few years later, while his wife attended college and Thomas worked in fundraising in North Carolina, the couple became interested in sustainable farming. An internship at a small farm and frequent conversations with his uncle back in Windom inspired him to return to the family farm in 2014, helping to launch Bois d’Arc Meat. Since then, rotational grazing of all their animals, the soil has come to life, in turn producing a diversified diet for the animals. ANNELIES LOTTMANN is the Central Texas Program Coordinator for the Texas Rural Cooperative Center of University of Texas/Rio Grande Valley. In that role, she assists groups seeking to form or strengthen cooperative businesses all around Texas. Before joining TRCC in 2015, Annelies co-founded Yard to Market Co-op, a producers’ cooperative that continues to provide sales and marketing services to small-scale food producers in the Austin area. She also serves on the Boards of Black Star Co-op and the Austin Cooperative Business Association. Annelies has a J.D. from the University of Texas School of Law and a B.A. from Sarah Lawrence College. When she’s not working with TRCC clients or tending her garden, she practices Brazilian rhythms with the Austin Samba School. PATTY LOVERA is the assistant director of Food & Water Watch where she coordinates the work of the food team and focuses especially on meat inspection, food safety, labeling, and dairy issues. Patty has a bachelor’s degree in environmental science from Lehigh University and a master’s in environmental policy from the University of Michigan. Before working at Food & Water Watch, Patty was the deputy director of the energy and environment program at Public Citizen and a research associate at the Center for Health, Environment, and Justice. ROBERT LYFORD earned his culinary degree at CCA in San Francisco, where cooking with a seasonal approach was the curriculum. This became the standard for his ever-changing daily lunch menu at Patina Green Home and Market, opened in 2010 with his family in downtown McKinney. 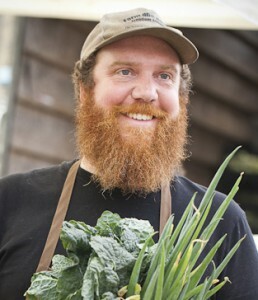 Frequent visits to the farms he sources inspire him to serve as an integral connection between DFW’s local farms and chefs. He also maintains an organic garden located a block from the restaurant. Patina Green was awarded “Best Sandwich Shop” by D magazine in 2014 and 2016 and holds the title of “Best Sandwich in the State of Texas” from Food Network. Robert also demonstrates his support for small farmers by serving on the Advisory Board for Farm Aid. ROBERT MAGGIANI: Sustainable Agriculture Specialist Robert Maggiani is a familiar face in the Texas produce industry and widely recognized as an expert on specialty crop production and marketing. He has bachelor’s and master’s degrees from the University of Texas in Austin. He was a commercial vegetable farmer in South Texas and North Mexico during the 1970s and 1980s. In 1985 he joined the marketing staff of the Texas Department of Agriculture (TDA) as a direct marketing specialist with statewide responsibilities. 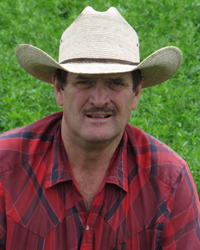 He was the first marketing specialist assigned to TDA’s efforts to establish an organic certification program in 1987. 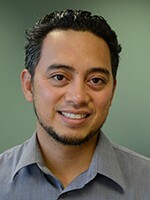 After six years in Austin, he transferred to the newly created office of the South Central Region in San Antonio to become the chief of marketing. He served in that position for the next 20 years and developed extensive contacts in Texas with producers, retailers, wholesalers, restaurants, and trade associations. 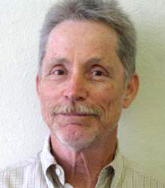 Robert currently works with the National Center for Appropriate Technology (NCAT). 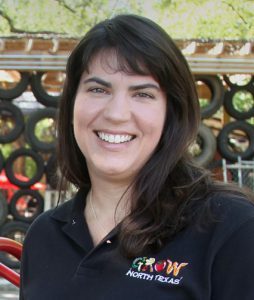 SUSIE MARSHALL is founder and executive director of GROW North Texas, a Dallas-based not-for-profit organization that cultivates healthy food communities by strengthening local food production and improving access to fresh, nutritious food. She has 13 years’ experience working with food producers and food assistance programs distributing surplus fruits and vegetables. 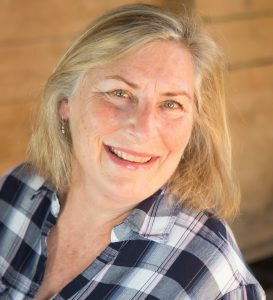 Susie is a long-time volunteer for the Texas Organic Farmers and Gardeners Association, currently as grants administrator and previously as executive director. A native of the Dallas area, Susie has a bachelor’s degree from Texas Wesleyan University, a master’s degree in health and physical education from Texas A&M-Commerce, and a master’s of theological studies from the Perkins School of Theology at SMU. JARRED MAXWELL leads Austin Foodshed Investors’ venture relations, guiding business owners through the fundraising process, providing business analysis, and assisting them to prepare to present to potential investors. He has been the local leader for Slow Money Austin since 2011 and is dedicated to healthy food, local economic vitality, support of small-scale businesses, re-invigoration of small towns, and small family farms and ranches. Jarred is an active angel investor in more than a dozen local socially responsible companies. In 2010, he founded The Happy Land Company, specializing in acquisition, restoration, and preservation of rural land. A lifelong Texan, Jarred is also a rancher, managing 400+ acres of family ranch outside Lampasas. 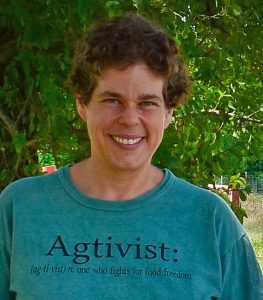 JUDITH McGEARY, the founder and Executive Director of FARFA, is an attorney, activist, and sustainable farmer. After earning her Bachelors of Science from Stanford University and her law degree with high honors from the University of Texas at Austin, she clerked for a Federal Appeals Court and went on to private law practice. During that time, she became a passionate advocate of sustainable agriculture, and she and her husband established their own livestock farm. After seeing how government regulations benefit industrial agriculture at the expense of family farms, she founded the Farm and Ranch Freedom Alliance to promote common-sense policies for local, diversified agricultural systems. 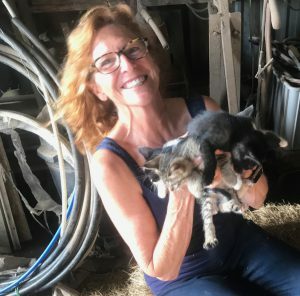 Judith has been profiled in the Texas Observer and Edible Austin, appears in the documentary “Farmageddon,” and has been interviewed on numerous radio shows across the country. Judith has served as the Vice Chair of the U.S. Secretary’s Advisory Committee on Animal Health and is also active with Texas Organic Farmers and Gardeners Association, the Weston A. Price Foundation, and the Farm-to-Consumer Legal Defense Fund. MEGAN NEUBAUER and her father Jack own Pure Land Organic farm in McKinney. Pure Land Organic is a pick-your-own fruit and vegetable farm that also supplies several fine restaurants in McKinney and Dallas and uses all organic methods on two acres of blackberries, one acre of annuals, and a 50-tree fruit orchard. 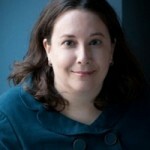 She is also the Executive Director of The Seed Project Foundation and Creative Director for Wells Hospitality Group. Megan has a BA in biology from Boston University and worked for several years in the biotech industry before pursuing the farm full time, most recently managing a pediatric oncology research lab at University of Texas Southwestern-Medical Center. MISTI NORRIS, a native of North Carolina, was raised in Houston and Dallas. She is creator of and chef at Petra and the Beast, a venture that encompasses pop-up dinners with a focus on “farms, foraging, fermentation, and fire.” Misti has gained substantial knowledge of wild plants and their uses, primarily through her travels throughout the United States. She was sous chef at FT 33 before opening her own highly successful restaurant, Small Brewpub, in the Oak Cliff neighborhood of Dallas, earning her numerous awards including 2016 James Beard Semifinalist and Eater Dallas’ 2017 Best Chef Award. 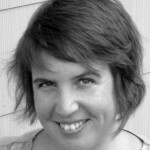 RUTHIE REDMOND is the water resources program manager for the Sierra Club, Lone Start Chapter. Raised in Austin, she is dedicated to work toward a more sustainable and equitable future. She earned a B.S. in geography/resource and environmental studies, with a minor in economics from Texas State University, San Marcos. She takes pride in her roles stewarding the responsible management of our natural resources as well as engaging in community conversations around environmental justice. 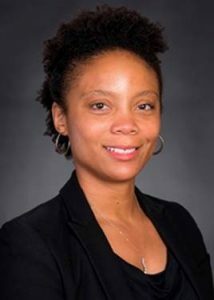 She also serves on the City of Austin African-American Resource Advisory Commission where she pursues bridging community and environmental needs. 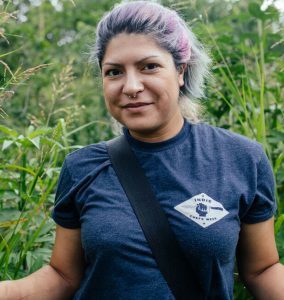 AMELIA SOTO-SANCHEZ is Co-Director for the National Immigrant Farming Initiative (NIFI), a non-profit organization that strengthens the capacity of disadvantaged farmers to farm successfully and to advance sustainable farming and food systems. She directly assists participants by providing on-farm technical assistance for vegetable and fruit production. Amelia earned her B.S. in agriculture with a specialty in entomology from Escuela Superior de Agricultura “Hermanos Escobar” in Juarez, México. She then worked with the Mexican government on structuring and organization of farmers’ cooperatives in several southern México states. 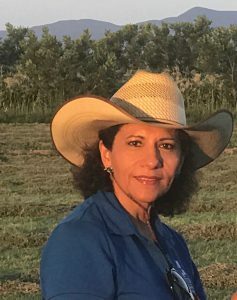 She’s also worked at the University of Texas Pan-American as the Co-Project Director for the Direct Marketing Initiative for Beginning Farmers and Ranchers in South Texas, funded through USDA-NIFA. BRAD STUFFLEBEAM, a local food pioneer in the Lone Star State, has served as President of the Texas Organic Farmers and Gardeners Association, Advisory Board Member for USDA Southern SARE, Board Member of the Farm and Ranch Freedom Alliance, Chairman/Founder of the Texas Arts and Music Festival and currently serves on the Washington County Chamber of Commerce Board. 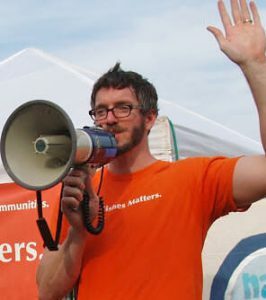 In 2012 Brad received the Houston Mayor’s Award: Champion of Food Justice. He has been a professional organic grower for over two decades and owner of Home Sweet Farm in Brenham, Texas, with his wife Jenny. 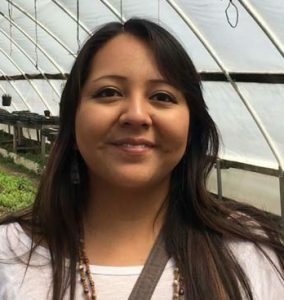 TIANA SUAZO is a Taos Pueblo tribal member, food activist and agriculturalist who currently is the Native American outreach coordinator with the Taos County (New Mexico) Economic Development Corporation. After earning a degree in business administration, she completed an internship in marketing with Ogallala Commons, a non-profit that works to develop communities throughout the Great Plains. She has helped clients develop operating plans and complete state Department of Health paperwork required for starting food businesses. Today she grows a variety of crops, mostly for canning, and she sells her products at a number of local markets. Inspired by the movement toward traditional foods such as corn, beans, and squash, and heritage seeds, Tiana and her boyfriend are working to launch a CSA. She also supports seed exchanges and is keen on preserving the 1,000-year history of farming at the Pueblo. 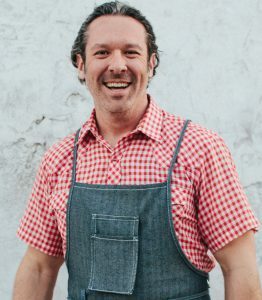 TOBY THOMASON is the General Manager of Harvest Seasonal Kitchen, a farm-to-table restaurant in downtown McKinney. 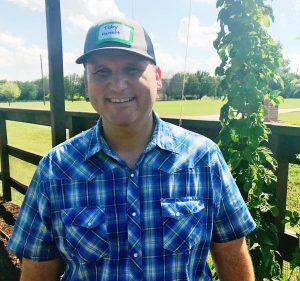 A lifelong passion for beer led to his developing an in-house brewing program at Harvest, establishing it as McKinney’s first brewpub. Harvest is committed to using exclusively Texas-grown ingredients in their brews including hops and honey produced on Harvest’s farm, Water Boy Farms. Toby is a Cicerone Level 1 Certified Beer Server and lives in Princeton with his wife Erin and their three children. CANDACE THOMPSON is the community outreach manager for Baylor Scott & White Health &Wellness Center in South Dallas, which provides a range of health services with an emphasis on community collaboration. 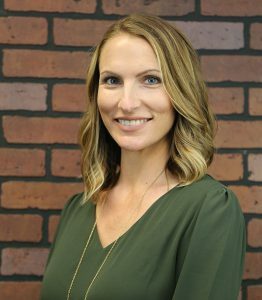 Candace organizes outreach efforts with community partners to increase the access of multi-generational local residents to available health and wellness services. Previously, Candace was director of community outreach at Jubilee Park and Community Center, cultivating relationships with its southeast Dallas neighbors to revitalize the neighborhood using a comprehensive community development approach. She has had her work published in the Guardian UK and presented a TEDx Talk at Southwestern Adventist University. She holds a bachelor’s degree in psychology from University of Texas at Dallas and a dual master’s in public administration and social work from University of Texas at Arlington. 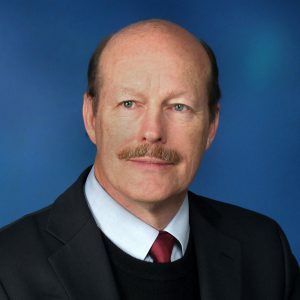 SCOTT TIPS is a California-based attorney, specializing in food-and-drug law and trademark law, serving as general counsel since 1989 for the National Health Federation (NHF), the world’s oldest health-freedom organization for consumers. Scott is also editor-in-chief of the NHF magazine, Health Freedom News, and became the organization’s president in 2007. BRETT TOLLEY is national program coordinator for the Northwest Atlantic Marine Alliance, focusing on movement building and policy. He comes from a four-generation commercial fishing family out of Cape Cod, Mass., and has worked in the industry hanging nets, crewing boats, and commercially shellfishing. Brett received a degree in international relations from Elon University with a focus on social justice and international trade. TIM TRAISTER is a relationship manager with Capital Farm Credit, the largest rural lender in Texas, where he specializes in land financing, small producers, and niche farming loans. 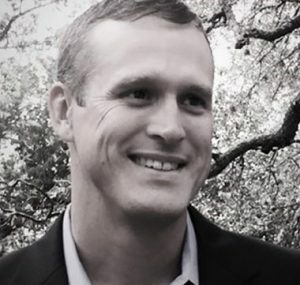 Before joining Capital Farm Credit in 2014, Tim worked in the commercial banking and real estate sectors, where he was involved in more than $1 billion in real estate transactions across the U.S.
Tim grew up in Austin and earned a bachelor’s in accounting and master’s in land economics/real estate finance at Texas A&M. 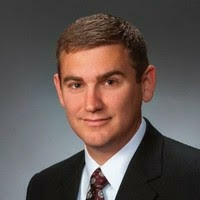 He is also a graduate of the Southwestern Graduate School of Banking at SMU. He resides in Austin with his wife and two children. AMANDA VANHOOZIER is a strong presence in the North Texas local food movement. As founder of Just Picked TX, she has developed an online community of supporters of local food that want to have a deeper, more authentic connection with farmers and ranchers. Amanda is providing content for conversations, connecting resources and expanding markets. Recently retired as Director of Market Operations at the Dallas Farmers Market, she led the market’s return to its original 1941 intent – to be a producer-only venue for farmers to sell directly to customers. Amanda also founded other farmers markets and gardens with the belief that following nature’s systems that sustain life would also cultivate healthy communities: the Coppell Farmers Market located between Dallas and Ft. Worth; Coppell Community Gardens, where a community of gardeners grows and donates produce to food pantries year-round; and Stringfellow School Outdoor Learning Environment, where children are introduced to growing food at a young age. This year, Amanda started a specialty cut flower farm, Bishop Hill Farm Flowers, fulfilling a life-long dream. Howard works with scientists and researchers around the world to develop effective solutions, based on the latest science, for the real-life problems farmers are experiencing because of GMO crops and glyphosate. Howard is a co-author and the primary coordinator of a first of its kind scientific study: the feeding of GMO grain and non-GMO grain to hogs for their lifetime as a meat animal. Howard is an internationally recognized speaker on the topic of GMOs. Howard also serves on the board of directors for the Council for Healthy Food Systems (CHFS), Farm and Ranch Freedom Alliance’s sister 501(c)3 organization. 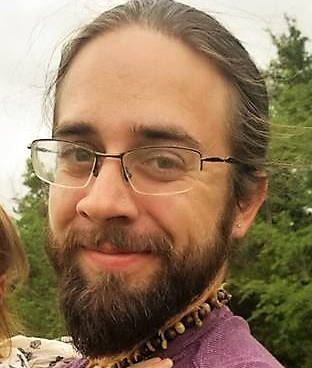 SEAN WALL has been guided through his adult life by a desire to help others live in harmony with nature. After attending a magnet high school for performing and visual arts, Sean studied biology as well as wildlife and fisheries sciences and environmental sciences at University of North Texas and Texas A&M. Since then, his work has included development of species and habitat management plans for game ranches and presentation of educational programs on the environment and on the relationship between nature and community development. Sean and his family obtain much of their food through foraging, propagating edible species not only for food but for restoration of wildlife habitats. He continues his work in the art world through painting and sculpture and hopes to share, through his art and his teaching, how people can reconnect with our natural environment, improving quality of life and creating opportunities to restore valuable natural habitat. NEIL F. WALTER is State Director, District 8, of Texas Farm Bureau. Located in Oglesby, Texas, Neil farms cotton, corn, and hay and has a cow/calf operation in Coryell County. He has served as president of Coryell County Farm Bureau and is a member of the Texas Farm Bureau Cotton Advisory Committee. Neil graduated with a bachelor’s degree in Agronomy from Abilene Christian University in 1973. Following a position with the Department of Agronomy at Iowa State University, Walter earned his master’s degree in Agronomy from Iowa State. A fifth-generation farmer, Walter began farming full-time following his degrees. BEATRICE WATSON is the Farm Fresh Specialist for Texas Department of Agriculture (TDA). The TDA Texas Farm Fresh Initiative engages schools, summer meal programs, and early-care education settings to make strong, sustainable connections to local foods, farmers and ranchers. The goal is to plant the seeds for healthy eating and student achievement while supporting Texas producers. 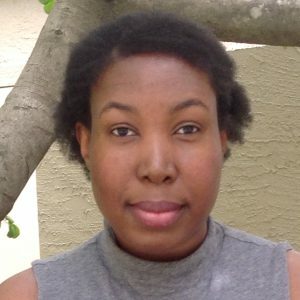 Beatrice holds a bachelor’s in Public Health Education and Promotion from the University of Arizona. Beatrice has 18 years’ experience in public health administration, health and nutrition education, program development, and community capacity building. She has spent much of her career championing coordinated school health, helping to address preventable chronic disease, childhood obesity, and food insecurities. Her passion lies in working to improve the health and well-being of children, families and communities.